DPD Private- Delivery to the Czech Republic 27.04. DPD - Delivery to the Slovakia 28.04. DPD - Delivery to Germany 28.04. DPD - Delivery to Poland 28.04. 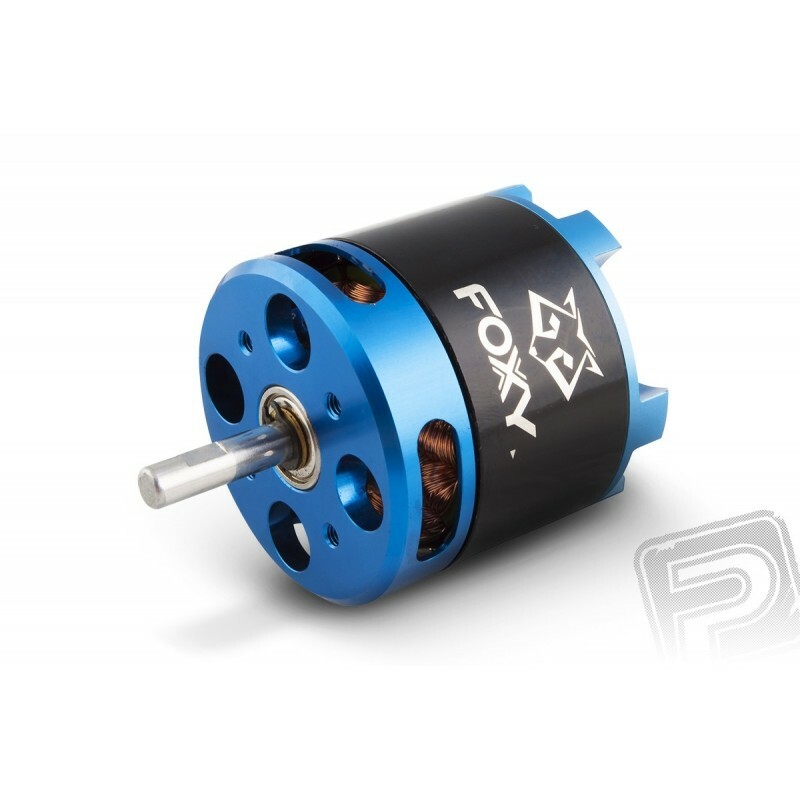 G2 FOXY engines are high-performance brushless (AC "brushless") čtrnáctipólové motors with rotating case ( "outrunner") with excellent electrical properties, sophisticated design and top-notch production processing. Shafts hardened steel and high-quality bearings ensure high durability, quality materials used for manufacturing the stator by the rotor also ensures excellent performance characteristics at high efficiency. These are low speed engines with high torque propeller coping with a large diameter and pitch without the need for transmission. 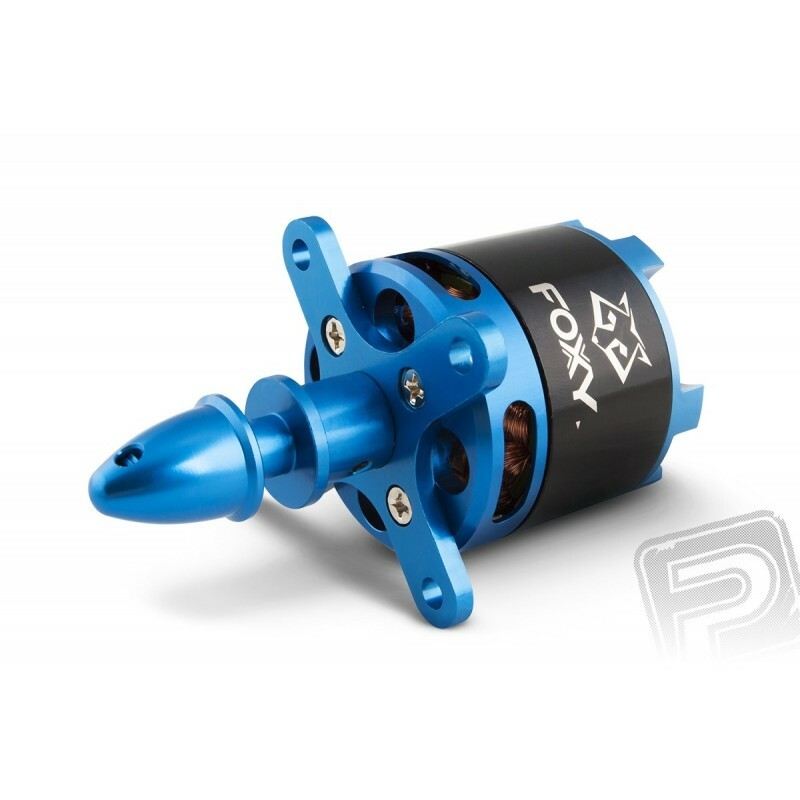 zzzz - the number of revolutions per volt (ot./min/V), "KV"
FOXY G2 C3530-570 learned a brushless motor drive for models with a flying weight of up to 2700 g with power from a four- to pětičlánkového Li-poly battery. Perfect for models in which you previously mounted a combustion engine 6.5-8 cc. The engine casing is provided with a ring with milled grooves for magnets, which reduces the risk of loosening under heavy loads. 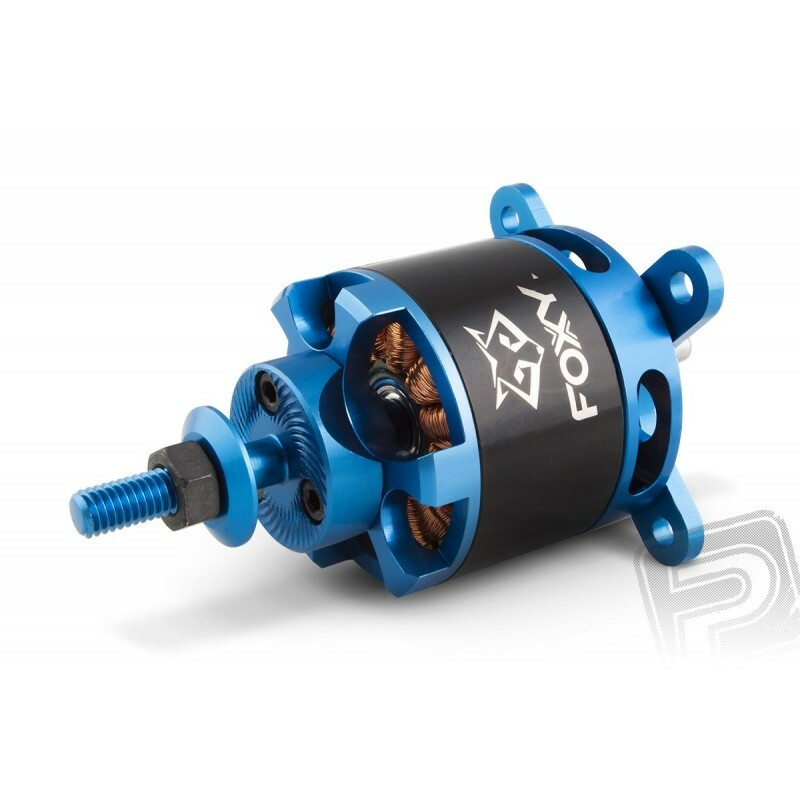 Motor mounting: FOXY C3530-570 G2 is designed for front and rear mounting. 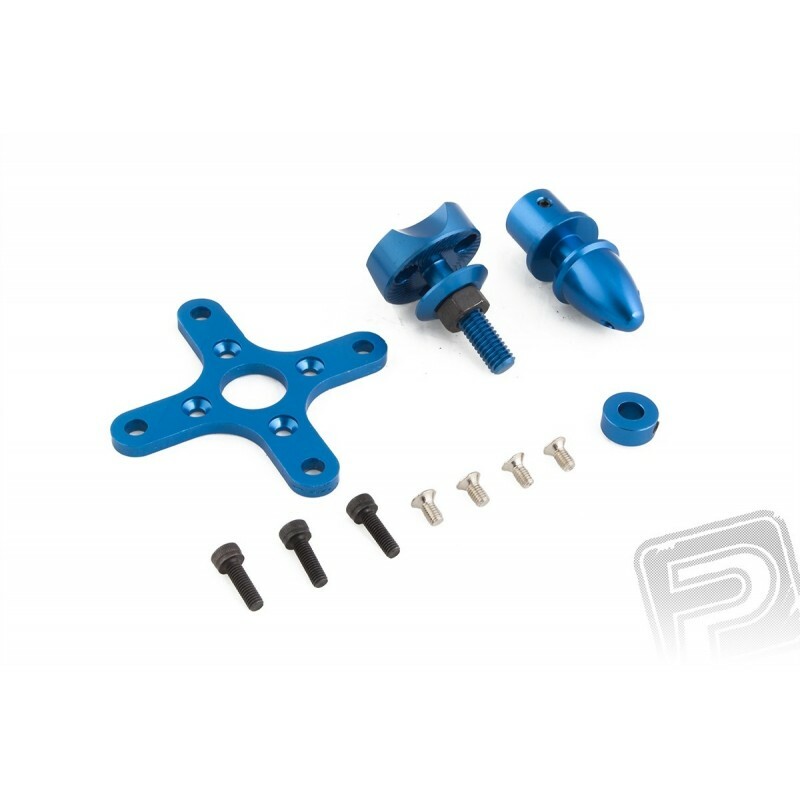 When front mounted behind the front motor using four M3 screws that extend into the front of the engine in the range of 4-5 mm. Motor bulkhead should be of 6 mm air plywood. Set engine includes: FOXY brushless motor G2 C3530-570 with soldered cables with 4 mm gold plated connectors, carrier for fixed pitch propeller, set for rear assembly instructions. Recommended propeller 4S: 15X10-12 "
Programmable AC controller for aircraft models. Permanent current 80A (peak 100A), power supply 3-6 LiPo cells, switched BEC 5,2V, 6V, 7,4V / 8A, weight 92g, dimensions 69,8x34,6x19,2mm. Programmable AC controller for aircraft models. Permanent current 80A (peak 100A), power supply 2-6 LiPo cells, switched BEC 6V / 5A, weight 82g, dimensions 86x38x12mm. The lowest range of Hobbywing controllers for aerospace applications. Permanent current 80A, peak current 100A. Switched BEC 5V 5A. Power 2-6S. Weight 82g. Dimensions 86x38x12mm.